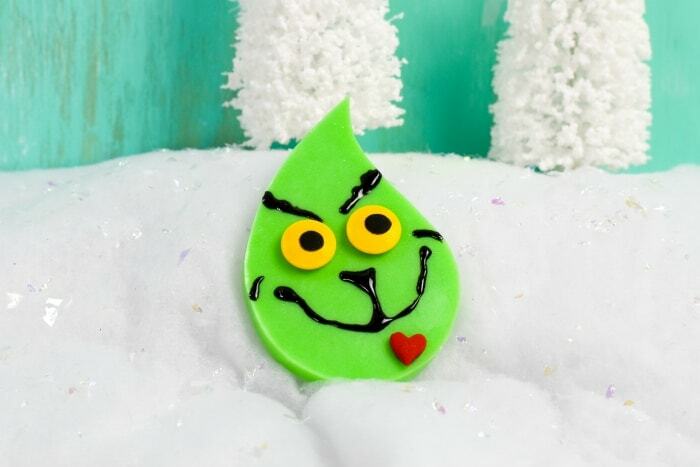 As the holidays near, now is the perfect time to start crafting up some fun DIY gifts like this totally awesome Grinch Soap! I just love how this soap turned out. 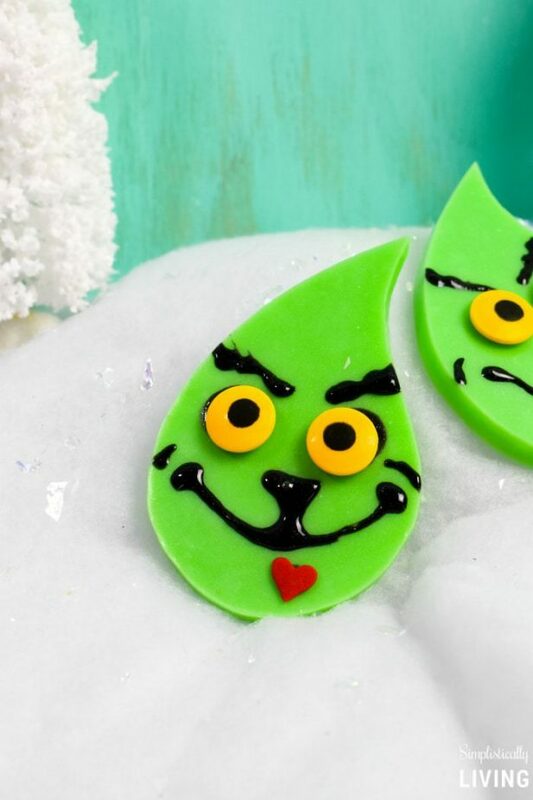 Inspired by The Grinch himself, we wanted to make a Grinch Soap that was cute and encouraged even the meanest of people to wash themselves during the holidays – HA. But really, can a Grinch gift get any better than this? First, start by cutting your soap base into small pieces. Depending on how many of these you want to make, that will determine the amount of soap you use. Using the soap base I linked to above, we used 1 square of that container. Next, place the small pieces into your microwave safe bowl. Microwave on high for 30 seconds, remove and stir. Continue doing this until the soap is entirely melted. Be careful not to burn the soap. Now, add a block of your soap colorant and stir until it fully melts into the hot soap base. This will take a few minutes. Add 2-3 drops of your essential oil and stir. Now, carefully pour your melted soap into the square silicone mold. Once poured, do not move the mold or it will cause air bubbles and the soap will harden unevenly. Spray the top of the soap with the rubbing alcohol to remove any bubbles that may have surfaced. Allow the soap to harden in the mold for several hours (preferably overnight). Once the soap is hardened, remove the soap from the mold by gently pushing on the backside of the mold to break the airlock. Next, take your grinch template and cut out one of the shapes. Cut your soap into 4 equal pieces then place the paper template on top of one of the pieces of soap. 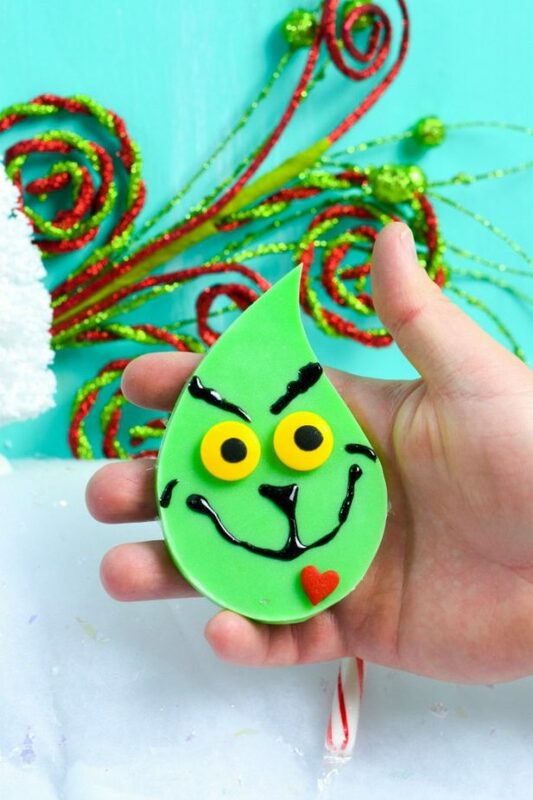 Use your x-acto knife to cut around the outside of the grinch template so you are left with the shape of grinch’s face. All that is left is to add the details of the face. 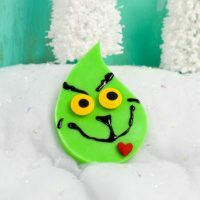 Using the black food gel, add a small amount of it onto the back of the yellow candy eyes and heart sprinkle and place them onto the front of the soap. 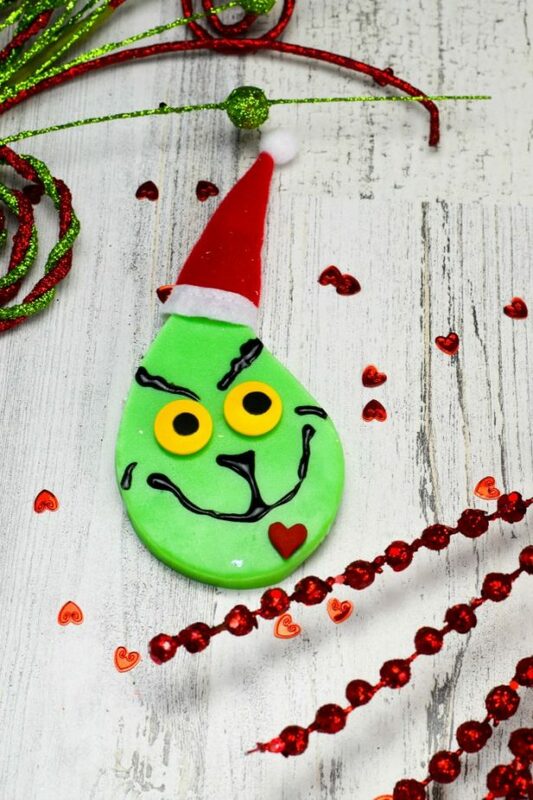 Finish the details by drawing on the face of grinch and allow to dry. You want to allow this to dry for 24-72 hours before you plan on wrapping them for gifts or the details will smear. You can use this soap immediately or save later for gift giving. Just be sure to wrap the soap and keep it away from any moisture once it’s completed. 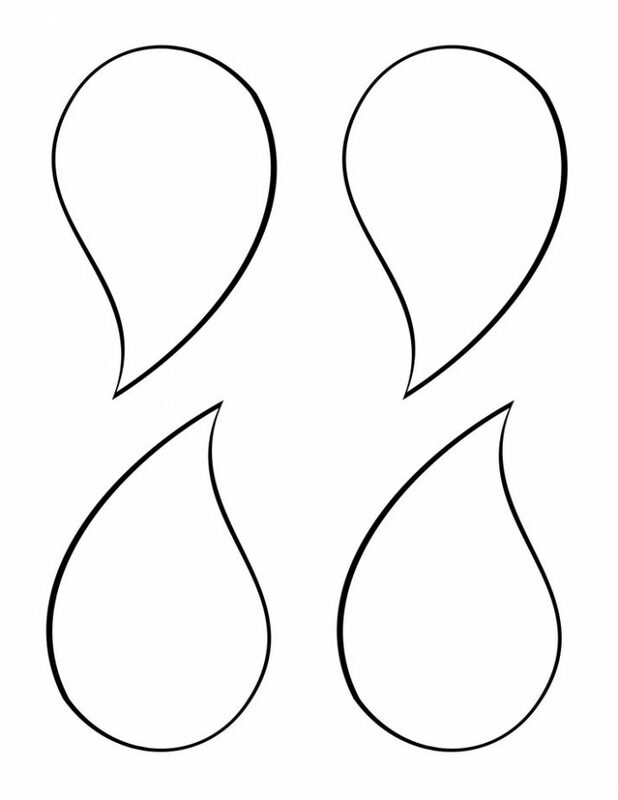 Make sure you never use fragrance oils intended for candle making they are not skin safe.